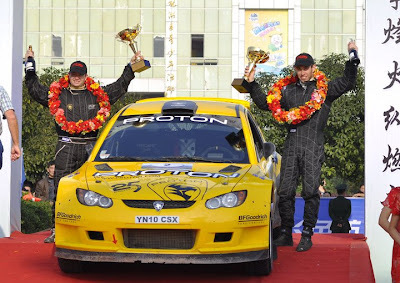 If you haven't already heard about it, PROTON not only emerged champion in the APRC (Asia Pacific Rally Championship) China Rally, but bagged the 1st runner-up as well! With a one-two finish at the last round of the APRC, PROTON has catapulted to take 2nd place in the Manufacturer's Championship after a 5-year long break from the rally arena. This place PROTON behind Mitsubishi but ahead of Subaru. The drivers who drove PROTON to victory are Alister McRae and Chris Atkinson. As an added bonus, Alister McRae is ranked 3rd in the overall APRC Driver's Championship. The PROTON team started with the season's rally of Malaysia on the 23rd of April this year, then went on to Japan, New Zealand and Australia. They were looking to gain more points in Indonesia but unfortunately it was canceled by the FIA due to bad weather conditions. Finally, they ended with a high note at the China rally. 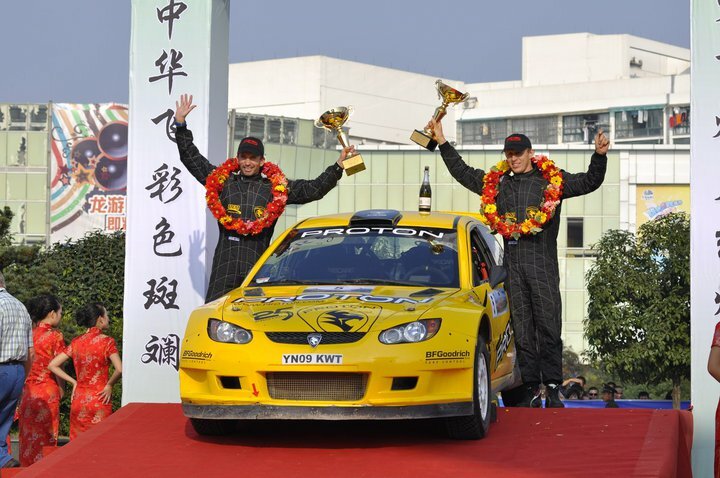 Despite encountering a lot of setbacks prior to the China rally whereby their best result were scoring 2nd place in New Zealand but with sheer determination and an unbreakable fighting spirit, the drivers with their Satria Neo S2000 went against all odds and look where it got them. This surely makes PROTON a player to look out for (again) in the rally scene and drives it to become a globally known brand as well as making Malaysia a deeper impact on an international scale. Previous times PROTON has won the APRC title for 3 seasons in 2001, 2002 and 2004. In 2002, PROTON also won the FIA Production Car World Rally Championship on its debut. All I can say is kudos to PROTON and keep up the good work! This surely paves the way for greater things to come. using Renault engine, but not proton engine I heard?